There are cities that are in the middle of nowhere, secluded in secret valleys, or hidden in impossible ravines. Cities that talk about their past, a past of conquest, of war, cities that in general tend to be at the very center of their vast territory as in fear of raids led by the many enemies their glorious exploits gained. But there are quieter urbs that make us think of more bucolic scenes, of meadows, of water springs, of good spirits and the smell of incense, spices and saltpeter, a city between two rivers, a Mediterranean metropolis the Romans once called Barcino, surrounded by gentle hills that any hostile horde could easily invade but that still lies in the very endroit parfait its founders sought for her against all odds, all greed, all plagues: the city of Barcelona. Speachless upon that sight...wonderful photography ! Barcelona is like a nest of culture, civilization, history. Not many cities are so lucky to have so many view points, places from where you can admire such panoramas. Great picture, Carlos! Para hacer poesía, es suficiente ser ... ¡Catalán! A terrific photograph and terrific commentary extolling the virtues of your city! Bravo! 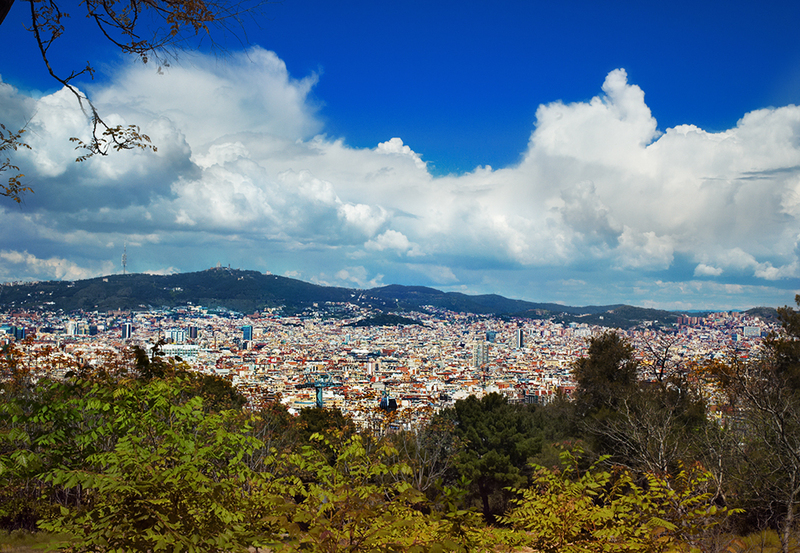 The beautiful and lovable city of Barcelona! Beautiful text, stunning shot. Excellent post! Your photography and your commentary are equally beautiful! This is a particularly beautiful post.